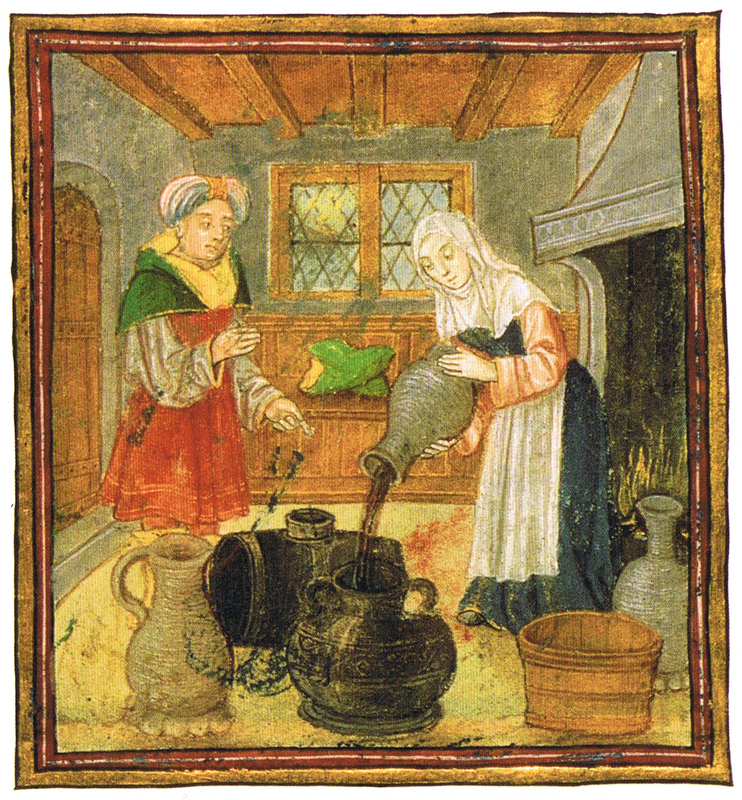 A matron demonstrates how to properly treat and conserve wine. "With the advent of the technology of the bottle and cork in the sixteenth century, the need for spices in wine was abruptly less pressing. Winemaking techniques and the quality of the end result improved."